Taking your sweetheart out for dinner at one of the fine romantic restaurants in Las Vegas is sure to make them feel special. Choosing the restaurant suited to your ideal romantic evening is as important as choosing just the right card. You might spend hours browsing the racks for a card that adequately expresses your deepest feelings, but we can help you find the perfect place to have dinner. is located at the Wynn. Diners can choose to sit in the vibrantly decorated dining room or the cabana area that surrounds a sparkling, private lagoon. This four-star restaurant serves Mediterranean and Italian dishes that are planned with care each day by Chef Paul Bartolotta. If you want to impress your beloved with the freshest seafood in Las Vegas, this is the perfect place for your romantic dinner. The seafood served each night, flown in from Italian waters, arrives on a daily basis. Bartolotta is open nightly from 5:30 PM – 10 PM. Reservations are recommended, especially for the Cabana tables. is located at the MGM Grand. Dining with someone at this romantic restaurant is sure to make a lasting impression and a wonderful memory. The atmosphere is intimate and sophisticated. The décor is warm and has all the flair one seeks when planning a dramatic dining experience for this special holiday. Chef Joel Robouchon carries the honor of being Chef of the Century, and you won’t be disappointed by his six-course and sixteen-course French and seafood inspired menus. Chef Joel offers a unique experience with impressive carts that come to your table and serve up a variety of cheeses, breads, teas, and desserts. Joel Robouchon is open nightly from 5:30 PM – 10 PM. Gentlemen are asked to wear jackets. Reservations are required. 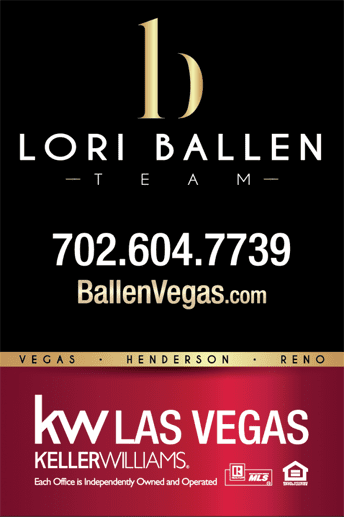 is located at the Palms Casino and Resort. Nothing sets the mood for a romantic dinner better than a breathtaking view, and that’s exactly what you can expect when you bring your date to Alize. This beautiful restaurant is located on the 56th floor, which provides diners with a unique panoramic view of Las Vegas. If scheduling is a problem, Alize offers a solution by providing a romantic Valentine’s Day menu on the 13th and 14th. The menu features a three-course meal with amuse bouche and dessert. Menu items include Chilled Maine Lobster, Ahi Tuna, Sauteed Tempeh, and Chocolate Dipped Raspberry Roulade. Alize is known for its fine wine and cognac selections. Alize is open nightly from 5:30 PM – 10 PM. Reservations are encouraged. is located at Paris Las Vegas. With incredible views of Las Vegas and the Bellagiofountain, this is understandably one of the most romantic restaurants in Las Vegas. Take your date to Paris without leaving the city of Las Vegas. The atmosphere is authentic and is sure to create a memorable evening. They offer packages made especially for those who are wishing to propose marriage on this most romantic of holidays that include photographs, flowers, and ring delivery. You can expect fine French cuisine such as lamb, paillard of salmon, and parmesan chicken. For those on a restrictive diet, they offer a gluten free menu. They serve American and Russian caviar. The Eiffel Tower Restaurant is open nightly from 4:30 PM – 10:30 PM. Gentlemen are asked to wear jackets. Reservations are required. After your romantic dinner at the Eiffel Tower Restaurant, bring your date up to the observation deck for the ultimate display of affection. Couples can personalize a lock to the bridge next to the tower to secure their love during the Locks on the Bridge event. is located at the Bellagio. Art lovers will appreciate the original Pablo Picasso artwork as much as they will the award winning dishes served by Chef Julian Serrano. Diners can choose to sit in the artistic interior or by the lakeside with an amazing view of theBellagio fountains. Don’t worry about the chill of the night air. The patio tables are kept warm with heat lamps. Diners have their choice of a four-course or five-course menu. Those, who enjoy wine, are sure to find the perfect bottle for their romantic night among the 1,500 selections offered by the Picasso. The Picasso is open nightly from 5:30 PM – 9:30 PM. Reservations are strongly encouraged. Gentlemen are asked to wear jackets. is located at Mandarin Oriental. Chef Pierre Gagnaire has the distinction of being awarded three stars from Michelin. This ensures that diners can expect nothing short of perfection in the dishes served. The Twist is on the 23rd floor of the Mandarin Oriental and offers stunning views to diners. The décor shows Chef Pierre Gagnaire’s artistic flair, and the hanging globes of twinkling lights add to the romantic atmosphere. Diners can enjoy French cuisine with a modern twist, and the chef creates the menu based on the seasons. They have a three-course and a six-course menu. The Twist is open nightly from 6 PM – 10 PM. Reservations are suggested. is located at the Stratosphere. Romantic, breathtaking and impressive are just a few of the words you’ll hear your date exclaim when you are seated at the Top of the World. This incredible dining area is located 800 feet above Las Vegas. As if that were not impressive enough, the entire restaurant revolves every 80 minutes. If you are looking for a dramatic, memory creating dinner experience, this is the perfect choice. They offer proposal packages for those who wish to use this love-filled holiday to propose marriage to their beloved. The package includes flowers, champagne, chocolates, and a four-course menu with wine. Top of the World serves an eclectic mix of American, seafood and steaks. Diners can choose such dishes as jumbo lump crab cakes, center cut filets, and lobster bisque. There are menu options for those who prefer gluten free or vegetarian dishes. Top of the World is open daily from 11 AM – 11 PM. Reservations suggested. Private dining options are available. is located at the Four Queens. Diners, who seek a traditional and classy dining experience, will enjoy the atmosphere at Hugo’s Cellar. Service is first-class, and the cuisine is classic American with seafood and steak. Diners can enjoy such dishes as lobster bisque, escargot en croute, beef Wellington, and veal Marsala. Salads are made at table-side with fresh ingredients such as artichokes, mushrooms, and bay shrimp. Hugo’s Cellar is open nightly from 5:30 PM – 10:30 PM. Reservations are required. 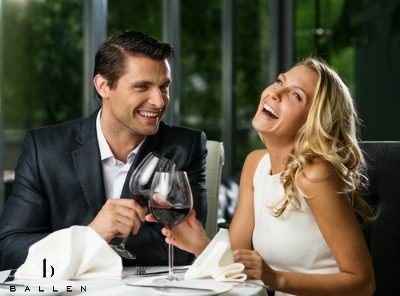 Keep the love in your heart by sharing a delicious meal with someone special at one of the most romantic restaurants in Las Vegas. Alternately, grab a good friend and celebrate the spirit and love that comes with friendship. No matter which restaurant you choose from the above list, you’re sure to have a remarkable and memorable evening in Las Vegas for this Valentine’s Day.